The Library serves as a site of enrichment and remediation for at risk students after school hours on a daily basis. 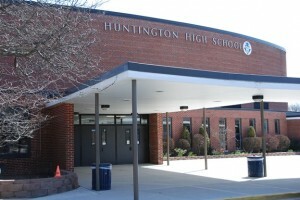 In addition, it is used for extracurricular meeting space, peer tutoring, homework help, computer use and more. “The high school library is a place frequented by nearly all students either during or after the school day as a place of quiet study, research, computer use and more. We are beyond grateful for the generous grant, which will allow us to improve the facility’s functionality and make it more suitable for simultaneous multi-purpose use,” said Huntington School District Superintendent James Polansky.